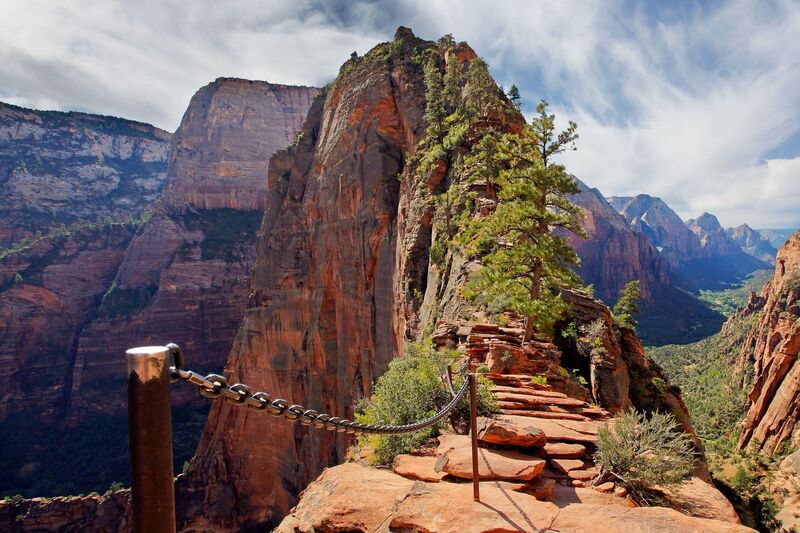 The Step of Faith on Angels Landing is the most unique and thrilling hiking trail in Zion National Park, Utah. The trail to the top takes you along the narrow spine of a highly exposed sandstone fin, complete with chains to help you reach the summit. Only attempt it if you have a very good head for heights but the rewards are fabulous. One of my best hikes ever ! !